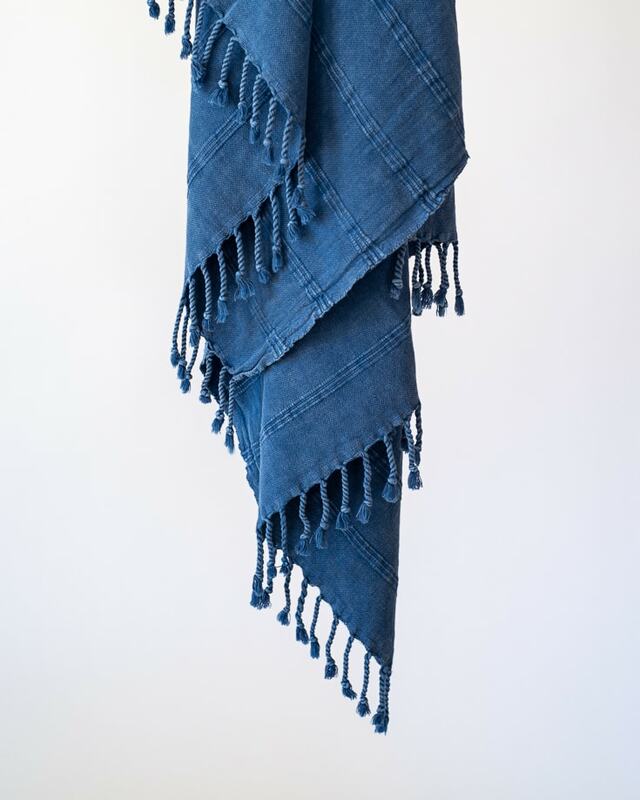 Made with 100% natural cotton and stonewashed in a rich indigo hue, this unisex beach towel is the perfect sidekick for ocean-loving adventurers. 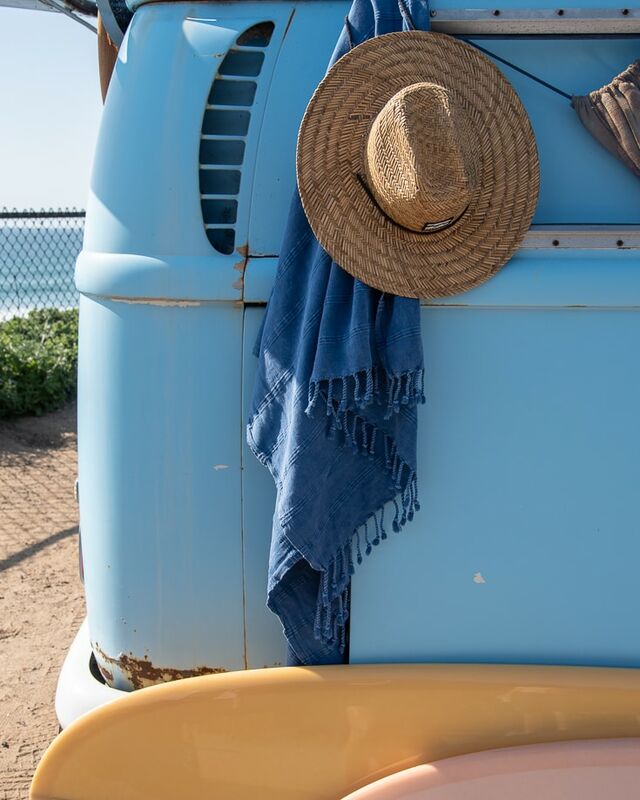 With its dapper vintage style, super soft feel, and easy packability, the Nomad beach towel will become your go-to, whether you’re headed to your local beach or halfway around the world. The towel is made in a Turkish flat weaving style that conveniently repels sand, drys quickly, and makes the towel incredibly compact. 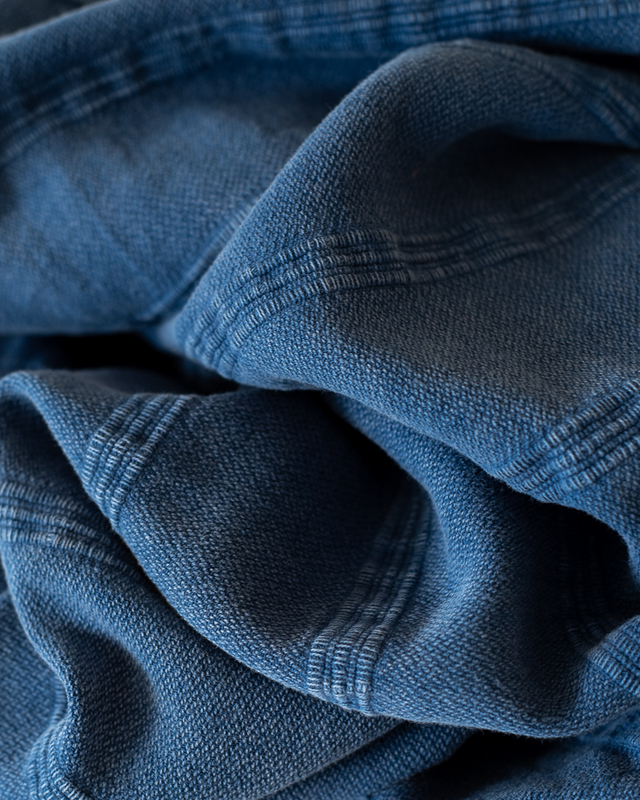 Bid farewell to beefy beach towels–this lightweight beauty rolls up to a small size you can easily fit in a beach bag or backpack with plenty of room to spare. 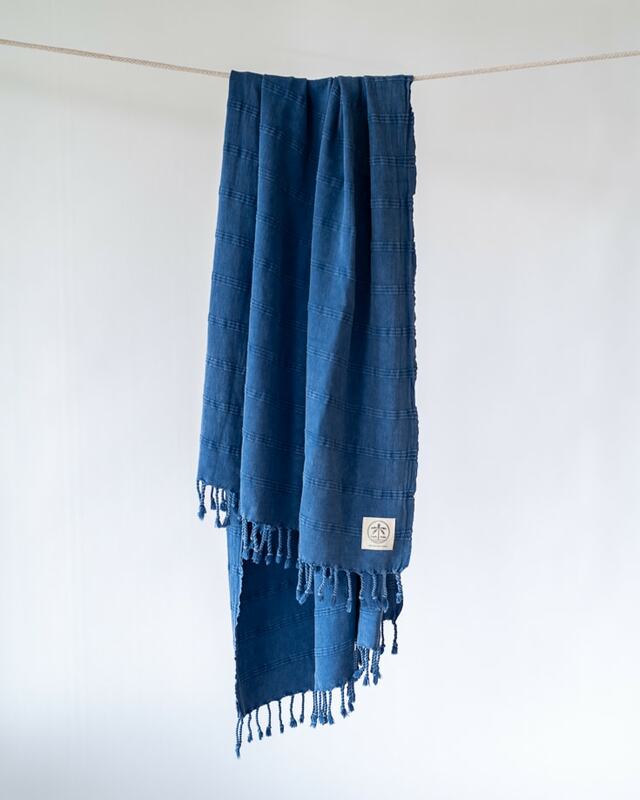 Up your beach game and travel lighter with the Nomad beach towel. 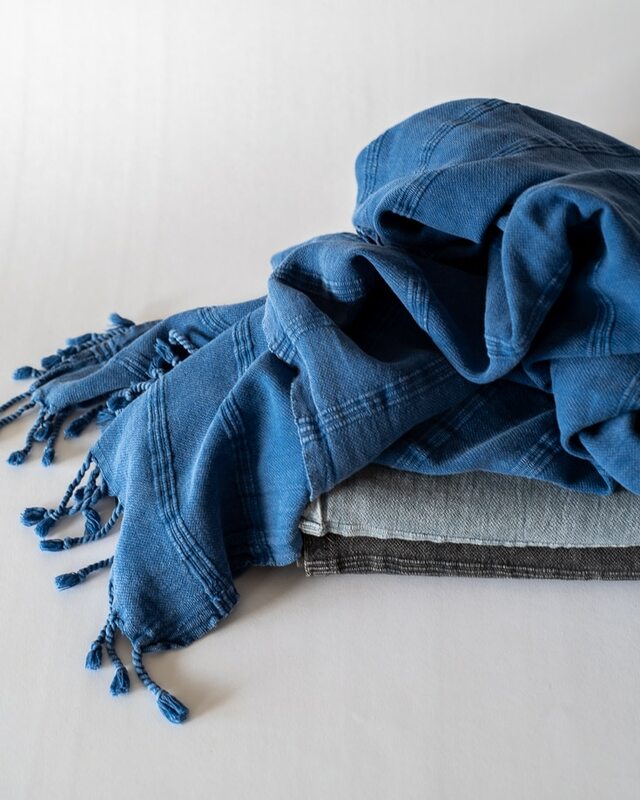 + Like a choice wine or Laird Hamilton, the Nomad beach towel only gets better with age–it will become softer and more absorbent the more you use and wash it. Designed to fade slightly to a vintage washed look. 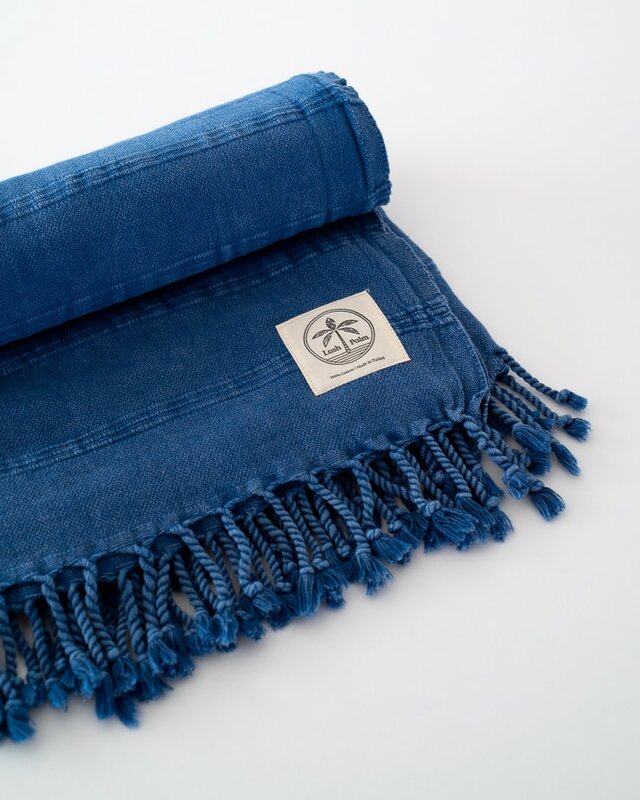 + Made with care by artisans in boutique ateliers in Buldan and Babadag, Turkey. 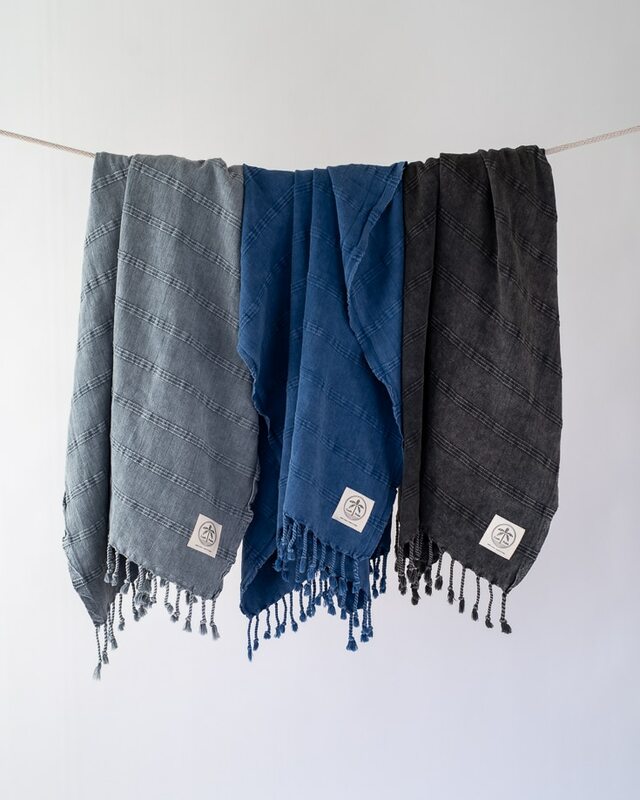 Each towel may differ slightly due to the nature of handcrafted goods. Wash separately for the first wash.